If the oldies stations don’t play music from the 1990s or early 2000s, and neither do contemporary stations, then why can you turn on a radio in any radio market and hear Train’s Meet Virginia? SSAR: What music sticks around on Oldies and Classic Rock stations? In the previous installment I analyzed what I called contemporary radio: Top 40, Hot Adult Contemporary, and Modern Rock stations. Those stations play older songs with an exponentially decaying frequency, to the point where songs from just two years ago almost never get played. But now we look at the other end of the spectrum, stations that only play old songs: oldies and classic rock stations. As before, I recorded every song play during the year and when the record played (day and time), including repeats. 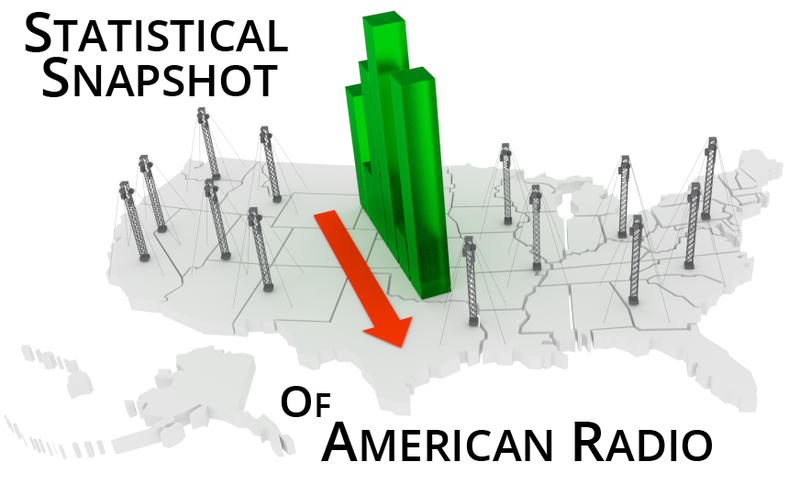 The Statistical Snapshot of American radio is a look what radio stations play and how often. You can read about where the data came from in a previous post. How many songs does a contemporary (Top 40 or “hot adult contemporary”) station play during a year? Of course, we know they play the same songs over and over again, but I wanted to quantify it a little better than that. For instance, I have a playlist on my iPhone that’s 1200 songs long. Does a radio station play more variety than I do? Not even hardly. 90% of all song plays on an average Top 40 station are the same 120-150 songs, and that’s during the entire year, as tracks go in and out of rotation. On any given day, the stations play an average of 83 distinct songs (this average was remarkably similar between stations). On no day were more than 110 distinct songs played. Because the stations play an average of about 275 songs per day, that means that the average song is repeated 4 times in a day. Any time I’m in the car and actually turn on broadcast radio, I always privately wonder: “god, how often do they play this song?”. Because it seems that no matter where you live, no matter what station you turn to, you’re going to hear the same few hundred songs. In some cases, like contemporary radio, the entire playlists strikes one as being maybe 25-50 songs. In any given day in the past year, if you had a Top 40 station on for 30 minutes you were going to hear “Thrift Shop” by Macklemore. Whether you think that DJs are tastemakers, influencing what people like by playing songs, or that DJs play the songs that people want to hear, the bottom line is that a study of what radio stations play is also a study of America’s taste in music. To study this, I data mined the complete song play record of 15 different radio stations around the country. The final data set was 1,186,922 song plays, representing every song played on these stations between Jan 24 and Dec 10 of 2013, with the time and date when each song was played. It’s not a sample from those stations: it’s literally every single song played according to their website and when it was played.